Patagonia, Arizona is nestled in the valleys of southern Arizona's Santa Rita and Patagonia Mountains. This historic community is now home to artists, nature lovers and visitors who come to enjoy the beauty and quiet of the area. There are fantastic restaurants, galleries and places to go to truly enjoy your time in Patagonia. Getting there is half the fun. Enjoy driving down scenic highways, over rolling hills and leave the frantic pace of the city far behind. If you are driving south from the Tucson area a good way to come (and avoid going through Nogales) is to take I-19 South to Ruby Road Exit (#12). Turn left and follow Ruby to Via Frontera - turn right. At stop sign turn left onto South River Road and follow to Scenic Highway 82. Turn left and follow into Patagonia. Map. The Duquesne House B&B is within walking distance from central Patagonia businesses. Stay in a beautifully decorated adobe with garden. More on the Duquesne House. Spirit Tree Bed and Breakfast Inn is outside of town in the beautiful countryside. Enjoy the huge cottonwoods and get away from it all. More on the Spirit Tree Bed and Breakfast Inn. Hacienda Corona Bed and Breakfast Inn is right off River Road and, like Spririt Tree is several miles from Patagonia's main street. You'll love the beautiful murals in the courtyard and the fantastic western decor. More on Hacienda Corona Bed and Breakfast Inn. When you arrive in Pagagonia you will see some historic buildings, raised sidewalks and old train station. What you won't see are throngs of visitors (unless, of course, it is a festival weekend). Right on the main street, McKeown Avenue, you will find some fantastic shops. I especially like Creative Spirits as it's a cooperative featuring local artists. You can find jewelry, decorator pieces, wearable art, photography and more. Adjoining Creative Spirits is Mariposa Books & More. It's a bookstore but you can also find some great local cards and gift items. But the real find inside Mariposa Books is the Visitor's Center. Often a knowledgeable local will be there to help you plan your stay. An insider's viewpoint is always a great thing! Along Highway 82 and the streets running parallel through Patagonia you will find galleries, shops and restaurants. Here's more on shopping Patagonia, Arizona. When you arrive in Patagonia you will find a sleepy little historic town. You may not realize that right in central Patagonia is a restaurant that was designated "An Arizona Treasure" by the Governor of Arizona. In fact, you might drive by the Velvet Elvis Pizza Company and not have any idea that it is a internationally known restaurant featuring organic foods. Rivaling their eclectic multi-cultural decor is their eclectic menu of pizzas. Add a fresh salad and you have a meal that is a gourmet's delight. I haven't tried the Velvet Elvis yet as it is open only Thursday thru Sunday 11:30 a.m. – 8:30 p.m. Unfortunately I was in Patagonia on a Wednesday! I did have the opportunity to stop in at the Gathering Grouds Coffee Shop on McKeown Avenue. It is a community gathering place that offers sandwiches made on fresh baked bread, pastries and great coffee or espresso drinks. Dinner is offered on Friday and Saturday. I had them make a turkey sandwich on fresh wheat bread, added a side salad and had a great dinner back at my B&B. While out at Hacienda Corona I heard that the restaurant at Kino Springs Golf Course had been purchased and renovated and that it was a place that would wow me. Of course, I headed out to The Ristorante Villa Prestini and was very impressed. There were beautifully decorated, colorful dining rooms overlooking the golf course including intimate rooms for small groups. As I walked from room to room I discovered a very trendy bar area with upscale decor reminiscent of places I had visited in large cities such as New York and Atlanta. But this was in Nogales, just down Highway 82 from Patagonia! I can't wait to return and dine there! The outdoor patios looked ideal for summer. More Places to Eat in the Patagonia area. Many who come to sample the wines of southern Arizona stay in Patagonia. The Wine Country is close to Patagonia. 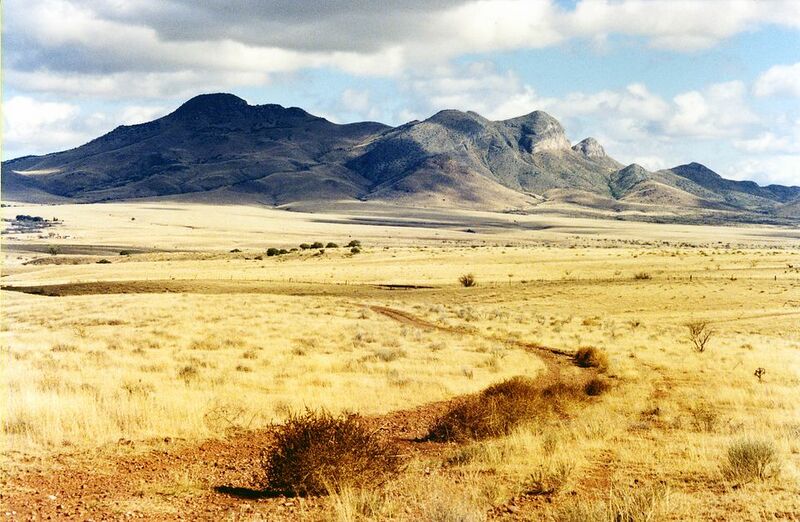 The areas you will want to visit are Sonoita and Elgin and the beautiful rolling countryside in between. The wine tasting loop takes you from Highway 82 (running between Patagonia and Sierra Vista) along Upper Elgin Road, Elgin Road and Lower Elgin Road. More on the southern Arizona Wine Country.